Pete with Charlie, Emily, and Henry circa 1998. In honor of Father's Day, we're showing Pete Nelson a little love from our crew. 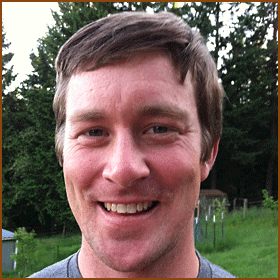 Pete is constantly on the go, traversing the globe to scout, design, and build our next treehouse. He works tirelessly to bring others' dreams to life and does it all with contagious positivity and compassion. What you see on TV is true: Pete leads and lives from the heart, and lifts us all with his exuberance, imagination, and integrity. We asked our crew to send in either a fond memory they have of spending time with Pete or a few words of appreciation about him. We've collected the responses, below, and hope you enjoy diving into our crew's memories of Pete. My brother and sister and I, being around 6 or 8 years old and having read the children’s book The Rainbow Goblins ad nauseam, ran outside to find the gold at the end of the rainbow. He took us to where he saw the rainbow land and we started digging and digging. Until finally, ding! We hit something glass. My brother and sister and I were elated! We had found gold! We dug up the glass jar and low and behold, it was full of gold!!...screws. My brother and sister and I didn’t know any better, we thought we were rich and spent the rest of the day dancing around in the yard. We never did see those gold screws again. I’m sure they are somewhere in a treehouse in Seattle right now. The point of the story is that Pete Nelson always had fun—even in a single-wide mobile home, with little money and three kids, we could still enjoy our lives! I admire Pete's ability to lead with positivity, humor, and passion. Even though the business of building treehouses can be challenging at times, he always remains constant in his commitment to quality and integrity. I love my dad! One of my most fond memories of my dad was when we took a 16-day rafting trip down the Colorado River through the Grand Canyon. He thought we were definitely going to die. I love it every time time I see the big tall blonde guy arrive at the job site. I know we are about to have some laughs and build something awesome! One of my fondest memories is first meeting Pete. He invited me out to dinner with his family and after dinner we shot his “potato gun” across the property. I remember the first time I met Pete. He is a force of nature. I was working on a treehouse job in Pennsylvania, and the crew had been working long days. Pete arrived at the end of the week at our usual bedtime. He completely shifted our energy. The next day was a bit groggy as we had been up most of the night playing frisbee and carrying on half way to dawn. Over the years Pete has introduced me to a lot of great music and I’ve had the pleasure of seeing many live shows with him all over the country. It’s been a fun adventure combining travel, treehouses, and music with Pete! I appreciate Pete because, despite creating a treehouse empire, he is still a down-to-earth, pretty normal dude and that's amazing. I’m always impressed with his hand drawn sketches—a true artist. Pete taught me to always follow my dreams. I admire his "anything is possible" mentality and his ability to spread positivity and possibility to everyone he talks to. He's a true inspiration in the treehouse world and a wonderful person to be around! When we were scouting property for a treehouse back in January 2017, the owner said he wanted to show us an area on the other side of a big frozen pond. He then bounds up a very tall tree-platform (~40' up in the air? ), hooks himself to a zipline, and shoots off through the trees without a second thought. Pete and I were left on the departure platform, and we paused to take a look at the zipline infrastructure itself. Pete looked at the size of the cable, looked at the attachment, and then looked at me with an expression that said "I have real concerns about this." He then turned toward the big expanse that the zipline crossed, brightened his expression, hooked himself up to the thin steel cable and took off with great relish and (as I imagined) maybe a small sense of duty. It was like seeing Batman jump off a ledge chasing bad guys. I admire Pete's limitless creative energy. 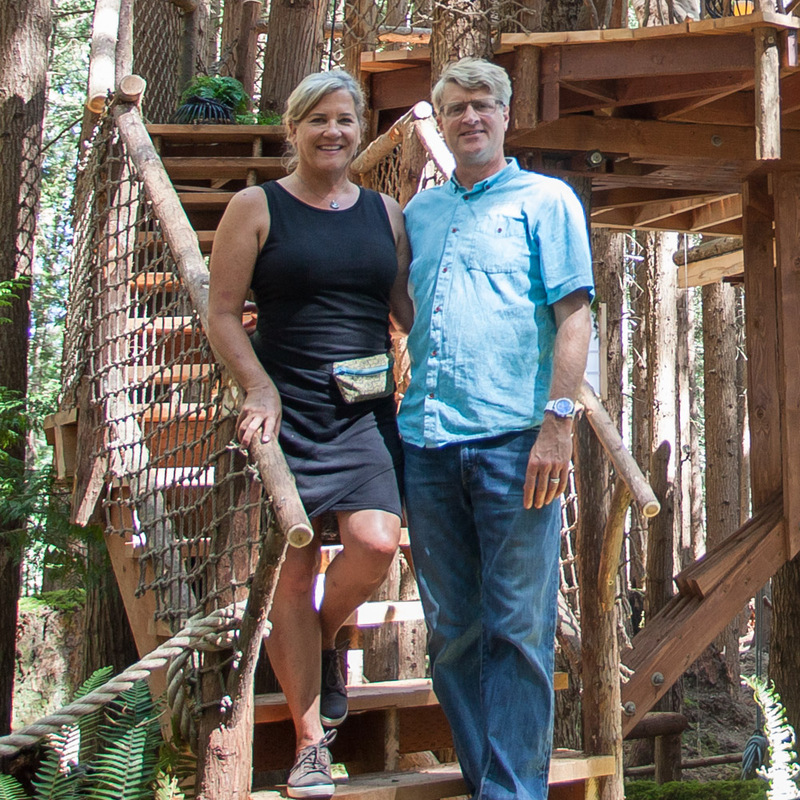 I love working for the magical Father of the Forest and leader of the Treehouse Tribe, Pete Nelson!! In my first year of working for Pete, he took me to my first Mariners game where we hollered for Ken Griffey Jr. as he hit a grand slam. Working with Pete on his year-end blog post last December was a special moment. He and Judy invited me over to their home to workshop ideas; Emily also joined in and we all gathered in the kitchen to reflect on 2017. It was humbling and inspiring to watch Pete express such deep gratitude for the experiences of the past year and look forward to the next with fervor and love for what he does. We wish all the dads out there a very happy Father's Day!